Here we are, slap dab in the middle of Suzy's birthday and I'm sharing a fun "doodly" card today. Unless you've been living under a rock, then you've heard that we are celebrating the birthday of So Suzy Stamps this month. Today is no exception. 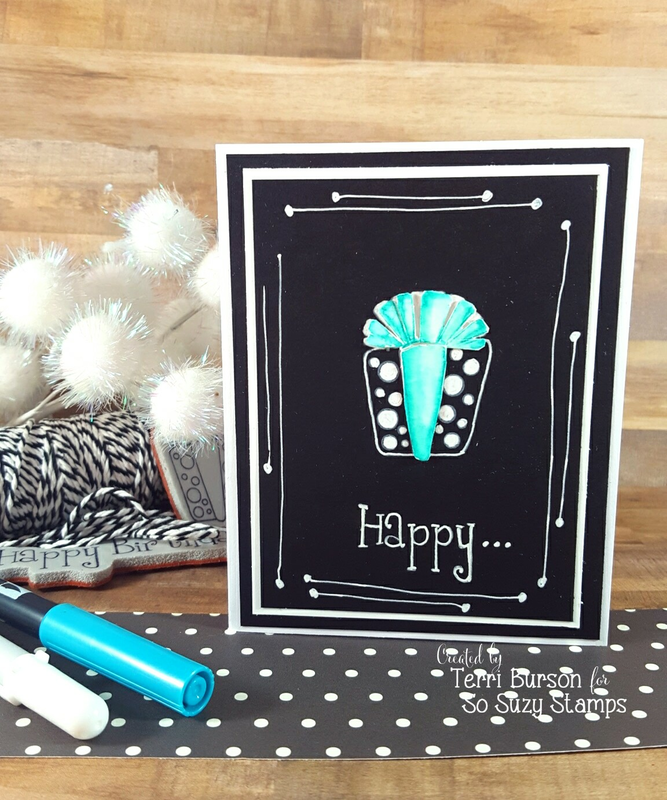 Hop on over to my blog, Waving My Wand, and get all the instructions and on making this fun card, as well as close-up photos. If you've missed some of the fabulous birthday creations this month, take a minute to scroll through the blog before you leave. Thanks so much for visiting today!